Five years ago at this time in February, I was in Iowa to visit family. I took the opportunity to drive out into the landscape of rural Iowa for some inspiration (artistically speaking). There wasn’t a lot of snow as the temperatures had gotten above freezing. This time of year the landscape is stark, lacking the vibrant green of spring and summer, yet I still find beauty in this starkness. The fields are a golden brown and the trees stand like guardians with their bare branches. In recreating the scenes I came across, I used an Impasto technique (impasto: to lay paint on thickly creating deep textured brush strokes) to give the scenes texture and brightened up the browns of the land into a more vibrant golden hue. 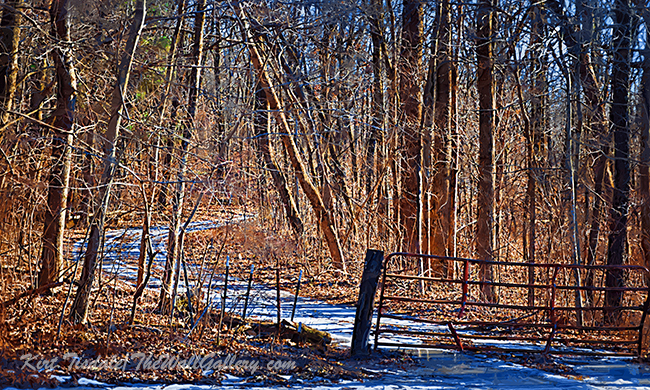 This first scene is a dirt (muddy) road that I took trying to get a photograph of a red barn I had seen through the woods. After getting out of the car and looking back at where I had come, I decided I preferred that scene the way the road curved around the bend. 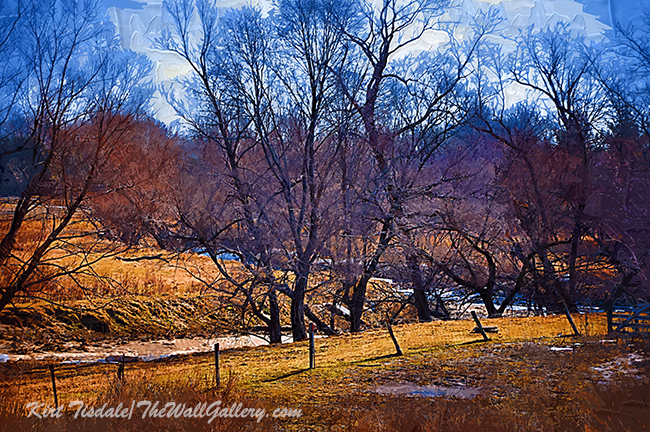 Another typical scene for this time of year is this frozen creek bed on a farm. Same golden fields and stark trees along the creek bed. I have a thing about paths, sidewalks or roads that wander off into the distance as they create depth to a picture and stimulate the brain of the curious wondering where they go. 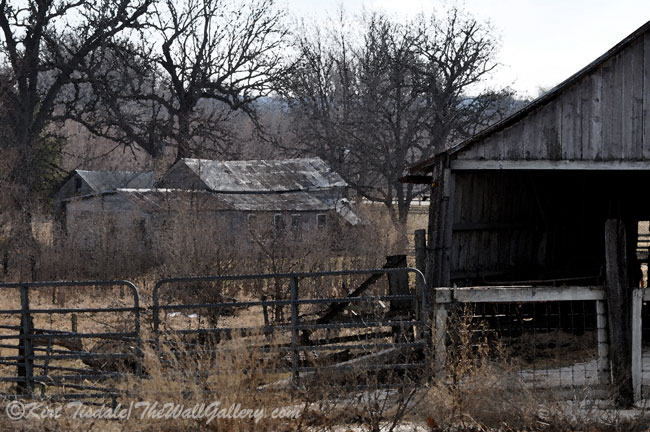 And then lastly is this discovery near the frozen creek bed, an abandoned farm. The setting seemed perfect for these buildings that were still standing, even with them being as dilapidated as they were. My tribute to mid February…thoughts? 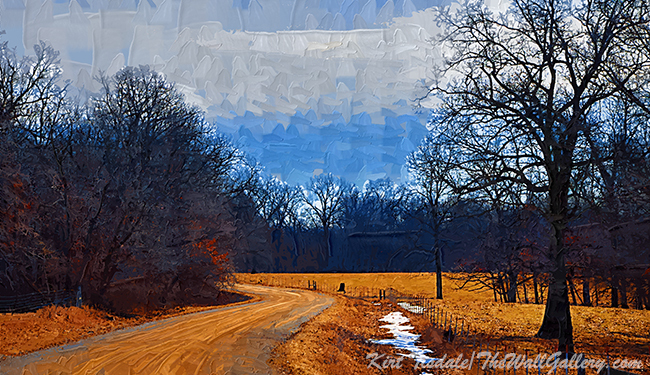 This entry was posted in Art Prints, Landscapes: Oil and tagged artist kirt tisdale, country, farm buildings, Iowa, online art gallery, rural, winter on February 16, 2018 by Kirt D Tisdale. 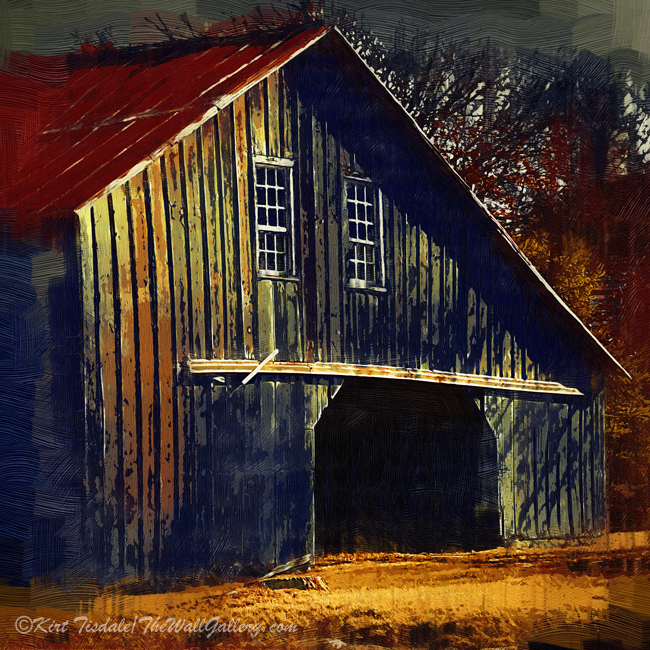 “The Barn” is a series of art prints that depict barns. 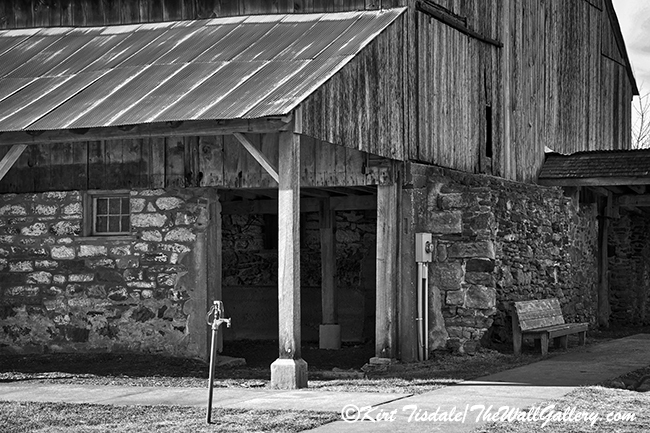 I chose barns as a unified subject to create a visual example of how the look of a print changes depending on the style, color and format used. 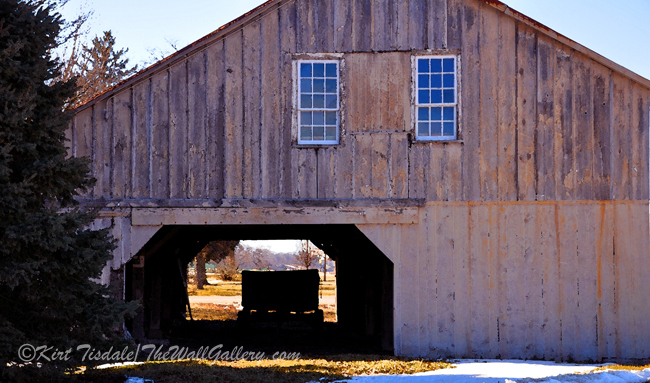 The best example I can think of is when you think of a barn, you picture a rural setting and your mind predetermines what type of décor would be appropriate for such an art print. While there is truth to that to some degree, my examples tell the story of how that can change depending on the style of presentation. 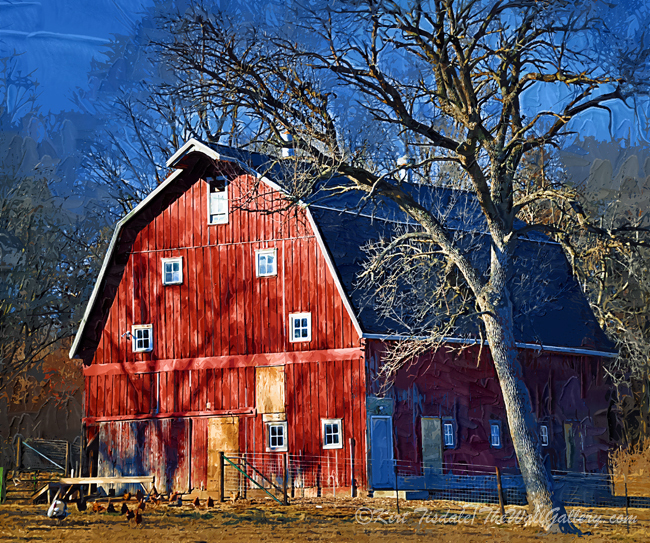 The first art print is a large red barn. The clean lines of the barn lend themselves to a more modern look. For this print, I used a somewhat abstract or linear approach creating clean simple lines and thus a more contemporary feel. 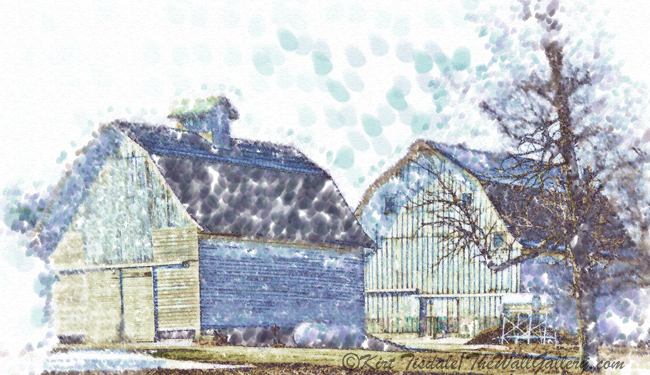 The second art print was done using a traditional watercolor technique and creates that expected overall look of a barn. Print number three is done using a pointillism technique that creates a very soft, subtle presentation of twin barns. The fourth print is done in a gothic style of painting. 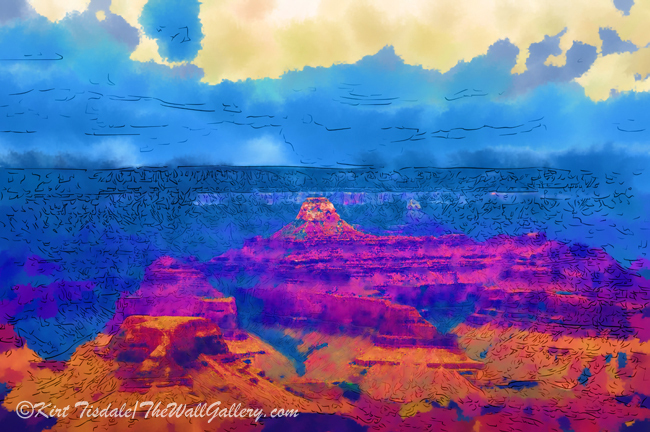 The earthen tones and bold brush strokes create a very “old world” look. 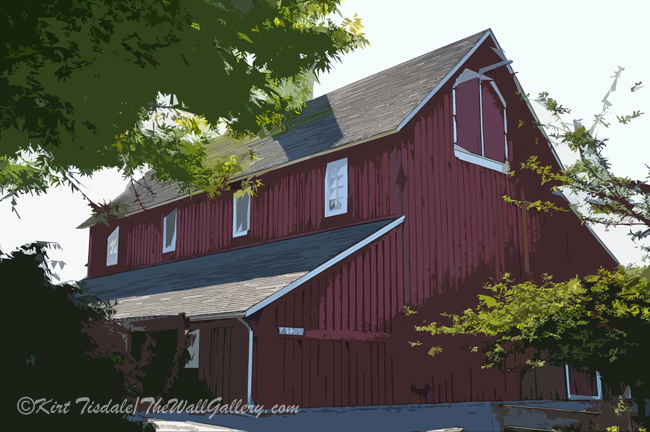 The final art print is a typical red barn done in a traditional impasto style with large brush strokes and brighter, bolder colors. Each print is of a rural barn, but each print creates a different visual experience and look. Thoughts? 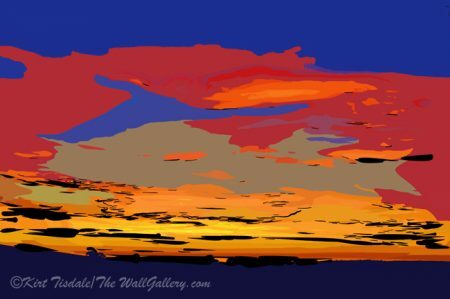 This entry was posted in Art Prints and tagged artist kirt tisdale, Barns, country, farm buildings, farming, interior design, online art gallery, rural on April 6, 2016 by Kirt D Tisdale. 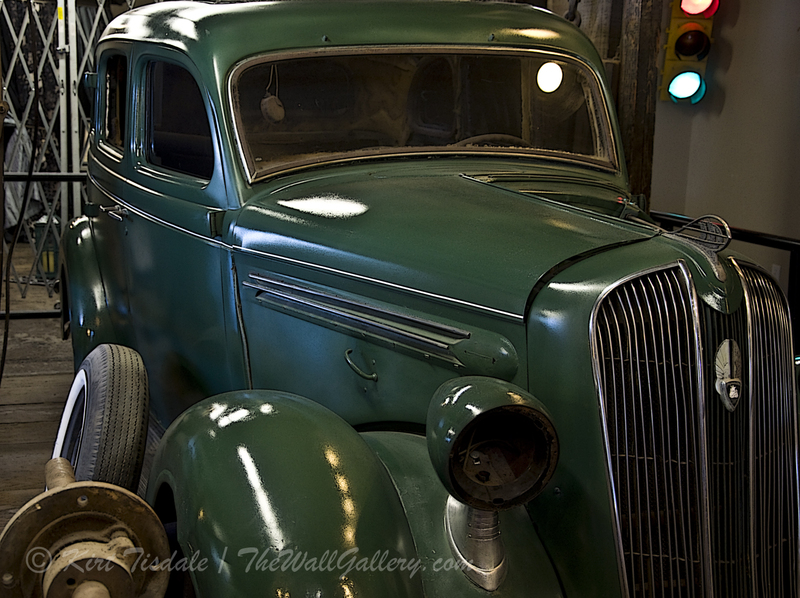 I updated my Sepia Gallery this week and the art print of the week is one of the new additions. 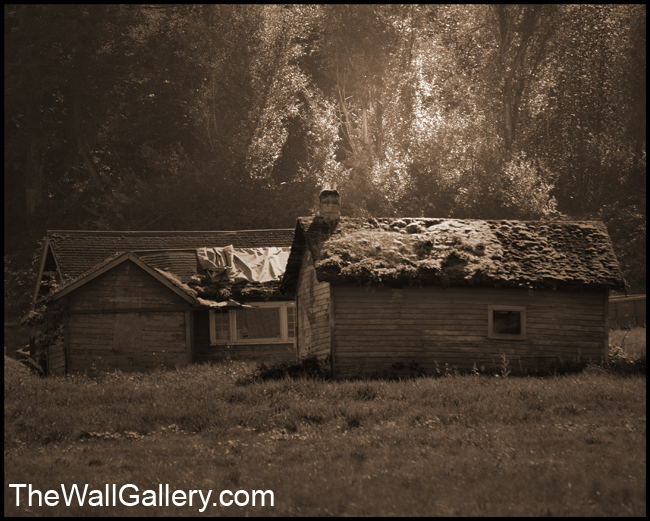 This print is a shot of two dilapidated farm buildings (ok, let’s be candid…shacks). The back one has an obvious roof problem. The front one has moss covering the roof. I originally spotted these buildings from the freeway one day and they stuck with me. Later, I decided to get closer to them for a photo shoot which required hiking through a very marshy field to get the angle I wanted. 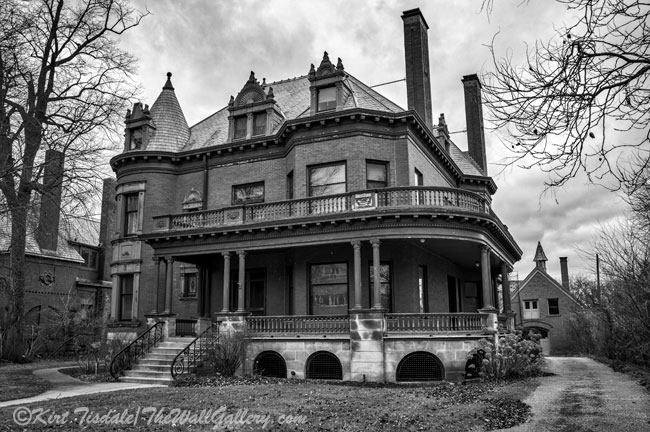 I decided to use the sepia tone on this art print because of the obvious aged condition of the structures and sepia unto itself reminds us of old photographs. Actual location is just outside of Issaquah, Washington in the foothills of the Cascades. 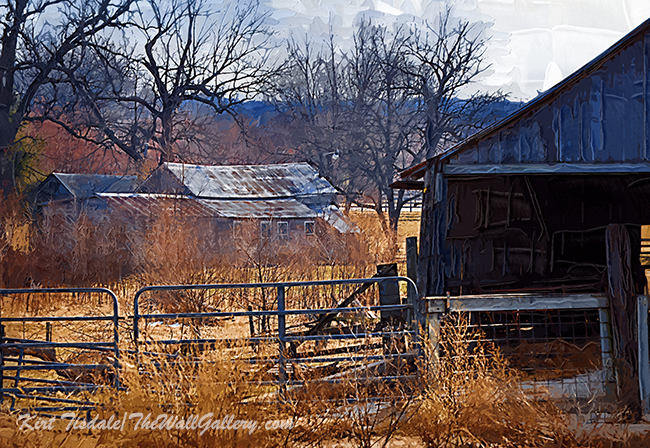 This entry was posted in Art Prints, Sepia Photography and tagged art gallery, artist kirt tisdale, farm, farm buildings, photographer, photography, rural, sepia photography, sepia prints, sepia tone, watercolor landscapes on December 6, 2013 by Kirt D Tisdale.